Humiliated, crushed and past his best were some of the adjectives used to describe Jose Mourinho after his return to Stamford Bridge ended in despair. United were indeed humiliated, the seed of their capitulation sown in the first 30 seconds of the game, an early setback from which Mourinho’s men never recovered. The contrast between Antonio Conte’s team, hardly a vintage side in itself, and United was embarrassing. The gap between United’s disjointed, spineless performance and the solid, organised display they delivered six days earlier at Anfield greater still. Chastening as the defeat was, to suggest the Portuguese has lost his magic on the back of a single result is as short-sighted as it is ludicrous. Likewise, it is undeniable that after a reasonably solid start, United have not progressed as fans and media had expected them to. The truth, as it is often the case, is somewhere in the middle. Mourinho remains a world class manager but the job he faces is by far the biggest of his career, given the platform he has found at Old Trafford was – and still is – largely inferior to those he inherited at Chelsea, Inter Milan and Real Madrid. Criticised for parking the bus against Liverpool and lambasted for the meek surrender against his former side, Mourinho’s tactics have been subject to intense scrutiny so far. 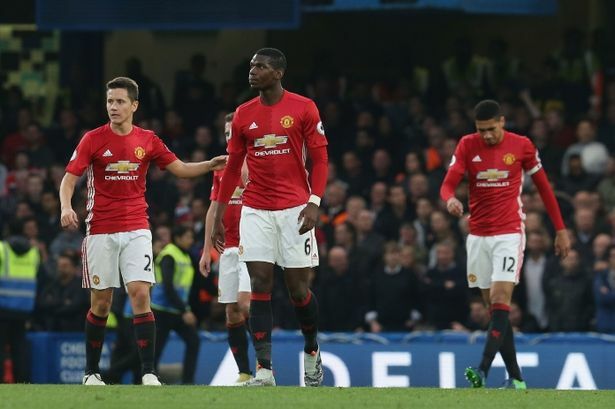 However, while criticism over the Anfield stalemate was largely unjustified, after all even under Sir Alex Ferguson United often prioritised pragmatism over flair, Mourinho’s tactics at Stamford Bridge did not help his side. United are a side crying out for a commanding midfielder capable to allow Paul Pogba to express himself, yet Mourinho persists with picking Marouane Fellaini over Michael Carrick. Henrikh Mkhitaryan’s pace was hailed as the tonic for United’s ponderous attack, but the Armenian has not played even after returning from injury and his circumstances are becoming increasingly puzzling. However, while Mourinho must shoulder some criticism for his tactical decisions, a much larger proportion of the blame should be firmly placed at the doorstep of the villains who have repeatedly escaped scott free in recent seasons: the players. 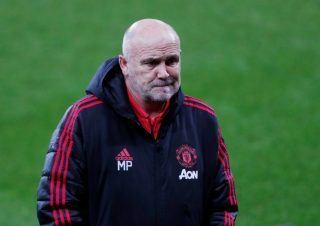 United are onto their third manager in as many years and yet, bafflingly, for the majority of the players criticism seems to be extremely short-lived. Mourinho can not be blamed for Daley Blind falling asleep and allowing Pedro all the time in the world to get on the ball and put Chelsea ahead. 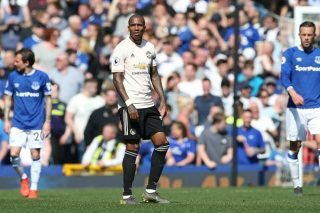 Nor he can be consider responsible for Chris Smalling’s atrocious defending and Paul Pogba’s reluctance to tackle N’Golo Kante and make the former Leicester midfielder look like Garrincha in the process. Unusually for a Mourinho side, United lack leaders. They have lacked leaders for years. While in seasons gone by players would grab a game by the scruff of its neck, at Stamford Bridge United players looked disconsolately towards their teammates. Each time, their looks were met by equally blank and impotent looks. Crumbling under pressure and shirking responsibilities has become normal behaviour at the club. Some of the players on the pitch on Sunday have outlasted David Moyes and Louis Van Gaal simply by hiding in the mediocrity that became the norm under both managers. Occasionally, United were outplayed and even thumped under Fergie, but they were almost never bullied off the pitch. Not physically and certainly not mentally. United’s club captain is no longer good enough to feature in the first team, while the man who wears the armband on the pitch is a better defender than he is a leader, which speaks volume for how poor he is on both fronts. 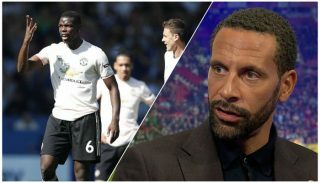 Of the new signings, Zlatan Ibrahimovic has the winning mentality required but it is hard to envisage Bryan Robson or Roy Keane smiling with opponents after receiving a 4-0 drubbing. No wonder that earlier this season Mourinho said he would have to protect his players, as some of them are too sensible to criticism. It is hard to see them morph into leaders and it is also just as difficult to imagine Mourinho trusts more than a handful of his players. 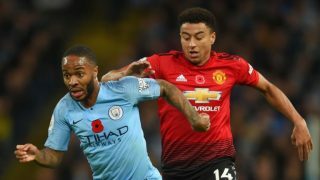 Wednesday night’s derby offers United the perfect opportunity to bounce back straight away from the hammering at Stamford Bridge and Mourinho has warned his players they have nowhere to hide. Replacing managers can only take a club so far if the players do not take a long, hard look at themselves.